The Media Coalition for Peace and Compassion (MCPC) is being activated in partnership with the Charter of Compassion International to further the Charter’s existing mission of fostering a more compassionate world. The objective is to create a supportive environment for communicators to explore positive solutions to negative media trends, which are directly affecting personal well-being and democratic freedoms around the world. Because of these trends, our civic narrative has become increasingly reactionary and counter-productive. Our dealings with one another reflect this undercurrent as civic dialogues on issues affecting our collective future are marked by division, fear, blame, and mistrust. Solution-oriented narratives are needed to build bridges and to help us envision the world we know in our hearts is possible. The Media Coalition for Peace and Compassion seeks to shed light on the importance of restorative and compassion-based news, connected learning environments, community-based story, and indie and citizen media in cultivating an informed planetary society. MCPC also seeks to network with those protecting free speech and First Amendment rights and strives to encourage and support an emerging positive news paradigm. In a culture of fast media, negative and fake news, we can easily become overwhelmed and distracted. 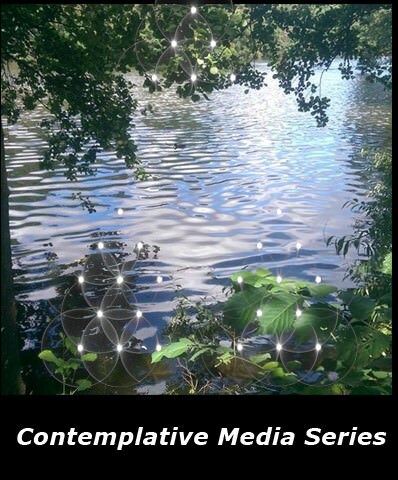 The Contemplative Media Series is designed to cultivate resilient communities and an informed citizenry in times of uncertainty. Empathy created through storytelling is an instrument for social cohesion. By bringing us together to be transformed by active listening and learning, and by reflecting on our own diverse stories - our hearts can be renewed to pursue our dreams for a more beautiful world, reframe our hope for positive solutions and respond to the call of collective action. In the months ahead, we will continue to introduce unique films and online events designed to serve the Charter of Compassion world-wide community. Charter partner Films for the Planet streams exceptional films on demand that are thoroughly inspirational, educational and beautifully produced. Films for the Planet supports globally-connected storytelling that inspires generative discourse and positive action for the greater good by connecting people to films, educational resources and learning experiences that will assist them in their journey as catalysts for positive change. To amplify the dynamic messages of artists and filmmakers, we produce unique film series with hosted conversations that draw upon our networks of luminary filmmakers, story activators, and topical scholars. Our goal is to inspire informed and compassionate action around many of the complex and interlocking issues of our day. These films spark a sense of challenge and adventure and offer compelling ideas for contemplative action. Time and again we have seen documentaries not only ignite movements but provide impetus for policy change, philanthropy, and social action. You can watch globally-acclaimed documentaries online, or with the Art of Hosting Film guidelines you can ignite conversations by hosting a party, group, or educational screening. Using film as a creative catalyst in community settings allows people to connect with others and engage in thoughtful discussions and civic actions that add enormous value to our communities and our world.